I’ve just finished an early version of a side project I’ve had on my list for a while – AntiTheory for Ableton Live. This is a plugin which changes the notes that you play, freeing you from your own musical knowledge. I grew up playing piano, and as part of my education I did a lot of classical music theory. I always really loved it, but I do often find it difficult to separate myself from patterns, chords, and scales. I catch myself sticking very rigidly to arbitrary rules, and I often wonder what it would be like to play an instrument without any preconceived theoretical ideas. In an attempt at making this happen, I’ve made a plugin for Ableton Live which jumbles up the notes being sent from a MIDI keyboard. There is only one parameter, a dial which controls how jumbled up the notes are. When this is set to “1” there is no change and everything is familiar. Changing this to “2” means that some notes will be swapped – maybe a middle C will be a C#, and vice versa. If you turn it up to 12 then a note could be moved anywhere within an octave. Crucially, no matter what value you choose, only once instance of each note is available. It’s as if you took all the notes, shuffled them around and put them back together again. The result is surprisingly fun to play. I started stumbling upon combinations of notes I never would have imagined – it’s incredibly freeing to just play around. This is a very early version. If you have Ableton Live you can have a play and maybe even open it up and improve it if you’re so inclined. Drop me a line if you have any suggestions, ideas, or if you’ve used it for anything fun. 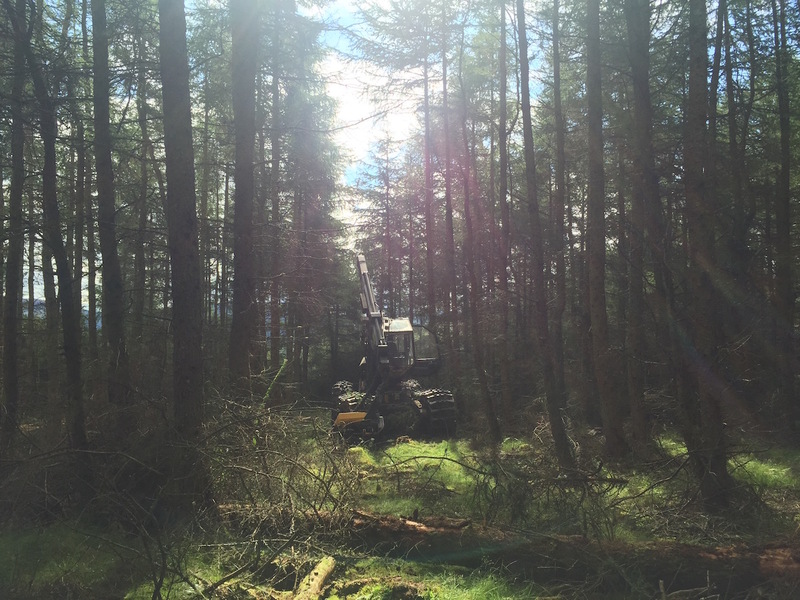 I recently finished a fun project with Bonnie Brae Productions for the Forestry Commission Scotland. The idea was to take the sounds of timber production and turn them into a sort of music, as a way of showing just how dangerous it can be to ignore the safety signs in the forest. I got to spend a really fun day recording in the woods, and the end result (made entirely out of field recordings from the day) is both catchy and kind of intense! 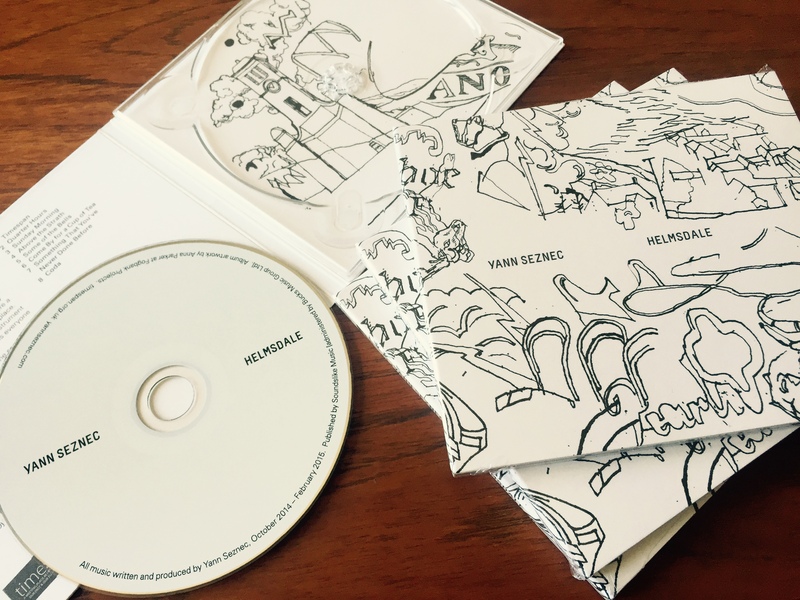 My new short album Helmsdale is now available for sale on CD. You can go get it right now on my Bandcamp page – you can buy the digital files for just £4 or for an extra pound (plus shipping) you get a beautiful CD. The album was made entirely out of sounds I recorded in the small village of Helmsdale in the Scottish Highlands during a residency at Timespan. You can learn about the project here. I only have 75 or so of these CDs for sale – but if you manage to get up to Helmsdale you can also get it in the Timespan shop (be sure to say hello to everyone there for me). Last December I took a trip to Ethiopia to work on a really exciting project – the debut album by Afro-Psych-Electro-Rock band MistO MistO. We recorded a whole pile of amazing material, and I spent a few months editing, mixing, and adding lots of synth tracks. The album is now finished and I think it’s really fantastic, I’m super proud of it. Release details will be announced soon, but in the mean time the band have been making some teaser videos. Recording in Ethiopia was not always the most straightforward thing, and one thing we had to contend with was frequent unexplained power outages. During one of these episodes we recorded this acoustic session…it’s so good that we’re thinking we should probably do a whole album of material like this! More details to come soon. In the mean time, be sure to “like” MistO MistO on Facebook and share the videos far and wide. I’m very very pleased to finally post here to say that one of my recent projects is now ready for the world. In a nutshell, it’s a short album made out of recordings from a residency with Timespan in the Scottish highlands. You can have a listen, learn about the sounds I used, and you can even buy the album for yourself. Digital copy is available for sale now, and you can pre-order a beautiful CD (shipping in early June). Many many thanks to everyone involved, it was such a wonderful thing to work on. 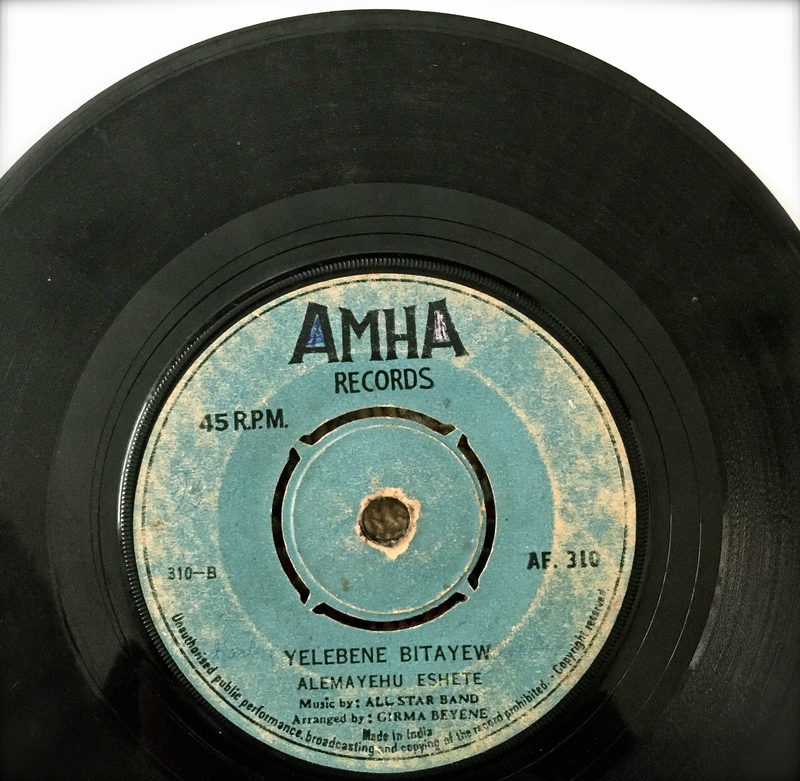 On a recent trip to Ethiopia I picked up a few old 45rpm records from the 1960s. They are super fun to listen to, though some of them are in really bad shape. I digitised the records and used some de-noising plugins with some good results, but one record by Tewolde Redda record has so far eluded my attempts at cleaning the sound. However when I pushed the de-noising plugins to their maximum settings they created a wonderfully abstract representation of the original music. I love how you can still hear a lot of the rhythmic and melodic structures, but how they have been transformed into something that sounds almost like 1960s style spectral synthesis. It’s oddly fitting. I’m currently working, among other things, on the recordings I made in Ethiopia. Some of those should be ready for release soon. In the mean time, if you’re interested in vintage Ethiopian music you can check out Kidus Berhanu’s Soundcloud page for some great mixes. He’s the one who sold me these records, and his collection and knowledge is fantastic. Record shopping in Addis Ababa. I’ve just started a new project in partnership with Timespan, a wonderful arts/heritage center in Helmsdale, a small village in the north of Scotland. 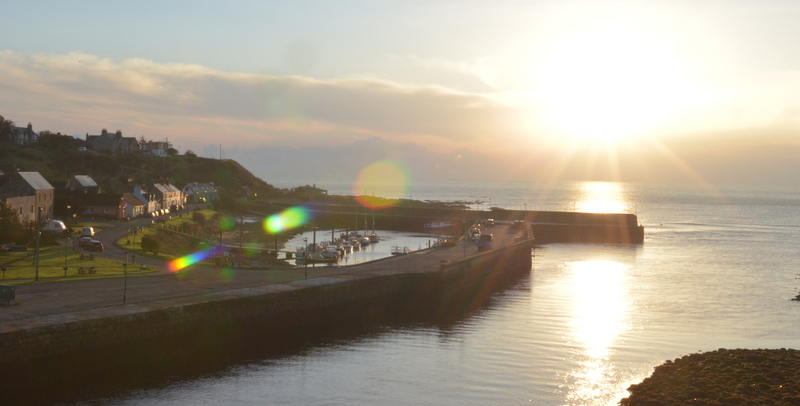 I’ll be spending some time in Helmsdale, with the ambitious aim of trying to record a snippet of sound from every musical instrument in the village. I’ll then edit all of these recordings and use them to make some new music. I’m currently on my way back home after my first stint. It was very rewarding indeed, both in terms of the sounds I was able to record as well as the general welcoming warmth extended to my wife and me. Everyone was enthusiastic about the project, and I got all sorts of tips about various musical instruments hidden around the town. 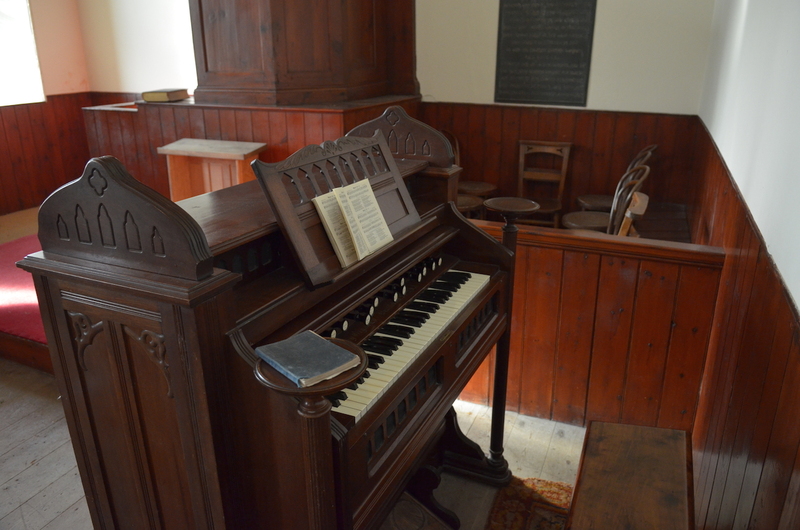 Whilst recording a piano in one home, the owners mentioned that there was a small chapel 9 miles out of town that had an antique pump organ. Naturally, I had to go have a look. 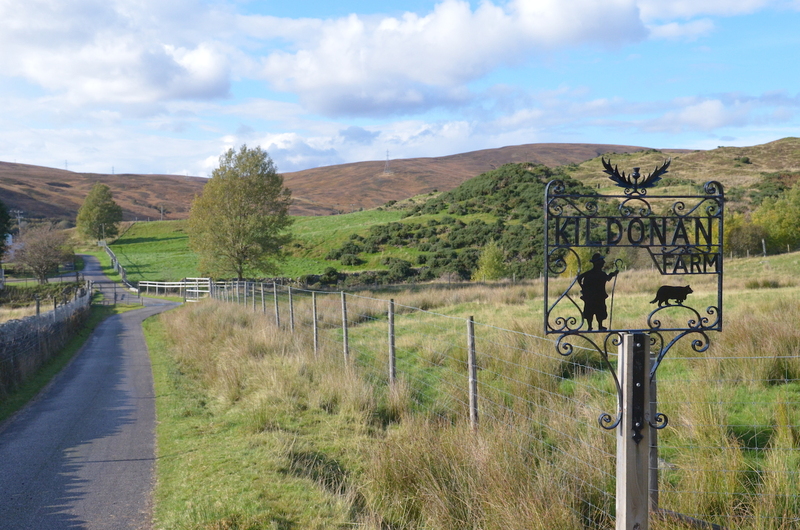 My wife and I hopped on our bikes the next day, and enjoyed a beautiful ride to Kildonan Farm, where we found the chapel and the fantastic American organ. The song seemed fitting, as the chapel and churchyard is full of commemorations of the Highland Clearances, when hundreds of local farmers in Kildonan were forced off the land. 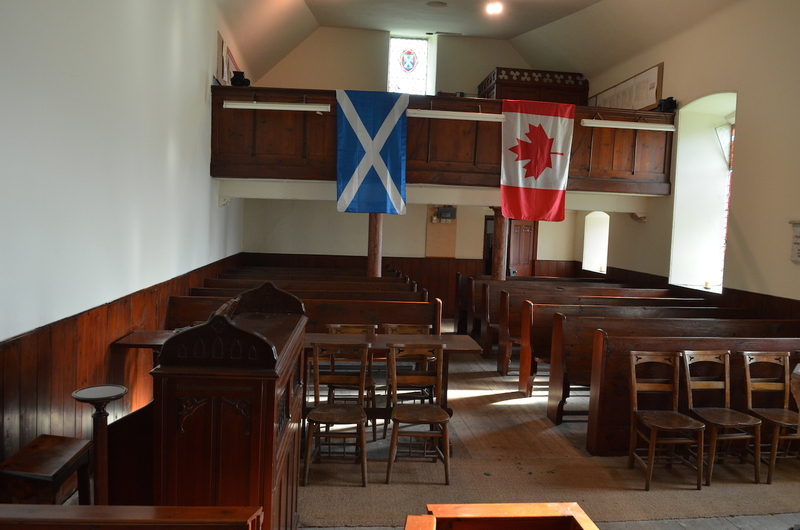 Many of them emigrated to the promised land of Winnipeg, and the area retains strong links to Canada, with Canadian and Scottish flags both hanging in the chapel. On that recording you hear him talk over the funny little chorus section, saying all sorts of hilarious things (gut it!) – but the piano playing is super funky as well. It somehow manages to be super minimalist and simple whilst still filling out nicely, and that strange chorus is a great breakdown. It’s a little blues gem, and something that stylistically just about straddles stride and boogie woogie. If you’re looking for the score, you can find it in Barrelhouse and Boogie Piano – you can actually see the whole book as a pdf here (check page 41 for this tune). The book includes all of the lyrics from the original, though it curiously writes “Ho!” when he is clearly saying “Hold it!”. Hmm. Anyway, I’ve made a MIDI file of the tune too, download it here if you’re interested or if you think it might help you. It’s a pretty easy little tune to play, but super rewarding and fun. My brother and I used to play it fairly often, I think we’ll have to get back into it. After a super fun performance with my Fan Club in London at the Southbank Centre (which was subsequently broadcast on BBC Radio 3), we will be performing this week in Edinburgh at the opening of the Edinburgh Art Festival on Thursday evening and on Friday in Glasgow for the PRS New Music Biennial. In addition, the installation for Currents will be opening up to the public starting this Friday, and running for the duration of the Edinburgh Art Festival. It is comprised of 172 fans inside a Victorian police box which recreate the current wind conditions from six locations around the world. I’m quite excited to open that up to the public. The police box is on the corner of Easter Road and Albion Road, EH7 5QJ, and will be open every day from the 1st-31st of August, 10am-6pm. More info on the EAF website. The show in Glasgow is on Friday August 1st at 8:30pm in Glasgow Concert Halls, and it’s free. More information here. Over the past few months I’ve been working on Currents, a project for the Edinburgh Art Festival and the PRS New Music Biennial. For this project I am taking hundreds of discarded computer CPU fans and turning them into both musical instruments and an installation in a police box in Edinburgh. This weekend sees the debut of the instruments in a performance at the Southbank Centre in London where I will be accompanied by Sam Beste and Hugh Jones. We are, of course, performing under the name Yann’s Fan Club. The performance is at 1pm in the Purcell Room. It is free but ticketed. Full details here. This project is about distance and technology, and how that intersects with our constant striving towards change and growth. The instruments are now finished and we have done some rehearsing. Here are a few pictures of the finished instruments we’ll be using. The performance will be semi-improvised, with a structure dictated by live wind data from around the world. At regular intervals the fans will switch to recreate the current windspeed in one of five locations, ranging from St Johns, Newfoundland (one of the windiest cities on the planet), to the suburb of Bangkok where the majority of the fans were produced. Here’s a small glimpse of some early rehearsals with Sam. It was rather hot in the room, the fans came in handy. The instruments are made of thick plywood, which I cut using a CNC router at the DCA print studio. Many thanks go to Rob Jackson and the rest of the DCA staff for all their help. 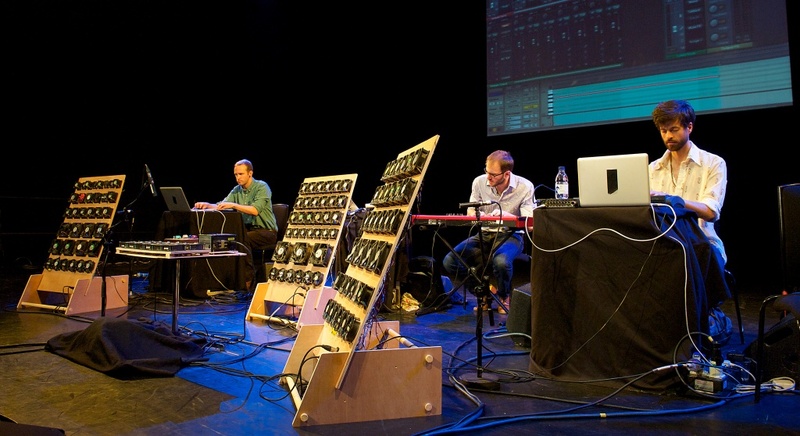 Most of them are controlled using MIDI, so we will be using standard keyboards and drum machines to ‘play’ them. The electronics are made with Teensy microcontrollers and a set of power circuits for switching. They are powered using standard computer power supplies which are, in turn, cooled by fans. The first performance is Saturday 5 July at the Southbank Centre at 1pm. We will be performing again in Edinburgh on 31 July and in Glasgow on 1 August. With the instruments finished I’ll next be working on the installation side of this project, which will be ready for the opening of the Edinburgh Art Festival at the end of July. In the mean time, here are some pictures of the process of making the instruments. Here’s music video I’ve made after a visit to the Jura Distillery. Go to the project page to learn more.